I serve as a switch hitter, providing expertise in iOS, Android, and web development as well as serving in a senior role. Currently, I develop in Objective-C on a daily basis, but I am fairly adaptable when it comes to languages and technologies. 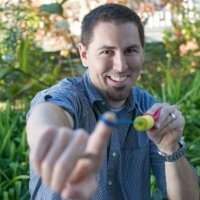 I have a working knowledge of development for iOS, Android, web, and some back-end technologies. More than any specific technology, I most excel at learning and becoming productive within a production timeline. I have evolved my skillset over the years as needed, and have worn many different hats over my career: webmaster, Flash prototype developer, iOS developer, SDK architect, and Android developer. My interests currently lie in the consumer technology and connected home areas. Devops - While I wouldn’t seek out a job in Devops, I am very comfortable navigating server environments. Supporting roles in each of my current & past positions have included some form of server administration (web hosting, database design & management, continuous integration setup, issue tracking, app deployment, version control, automated backups). I am currently working as a Senior Mobile Developer for Idean in Palo Alto, CA. I serve as a switch hitter, providing expertise in iOS, Android, and web development as well as serving in a senior role. I am currently focusing my efforts on iOS development and leading Idean's mobile team. I have a history of development on the front-end, back-end, & in the prototype field. I also dabble a bit in Linux server administration, with some experience in database design & management.